People who have recently been involved in a car accident often wonder what should I tell my insurance company after a car accident? There is a great deal of conflicting advice floating around, especially on the Internet, but one thing is certain: If you are in a car accident, you should inform your insurance agent as soon as reasonably possible. This is especially important in case you decide to file a personal injury claim or a lawsuit against the other driver. Many factors will come into play in this kind of lawsuit, including how much at fault both drivers are determined to be and whether the other driver has adequate car insurance. In the immediate aftermath of a car accident you will most likely be in shock. You probably won’t be thinking about what should I tell my insurance company after a car accident? You may not think you’re in shock, but regardless, you should avoid any decision making, including making any statement about your health to the insurance company or the other driver. Take care of your medical needs first, and then protect your legal interests. Your insurance company will be looking for the quickest and least expensive way to settle the case. Your best interests, on the other hand, lie with receiving the maximum amount of compensation available for your claim. Wait to speak with your insurance agent until after your medical needs have been met and you have had an opportunity to speak with your car accident lawyer. As important as it is to contact your insurance company after an accident, it is equally important that you know what not to say when speaking with the agent. Never admit guilt or state you are at fault – The insurance companies can figure out which of the drivers was at fault between themselves. Never say you aren’t injured – While some injuries are readily apparent, some injuries may not manifest until much later. For example, whiplash could take up to forty-eight hours to manifest. Let a doctor determine whether you are injured instead. Never make an official statement – Official statements that are recorded or documented can be used against you, so make certain you speak with your personal injury attorney before saying anything on the record or as an official statement. You cannot be compelled to make an official statement without first speaking to your car accident lawyer. You deserve financial compensation for the injuries you have suffered. If you are still wondering what should I tell my insurance company after a car accident? 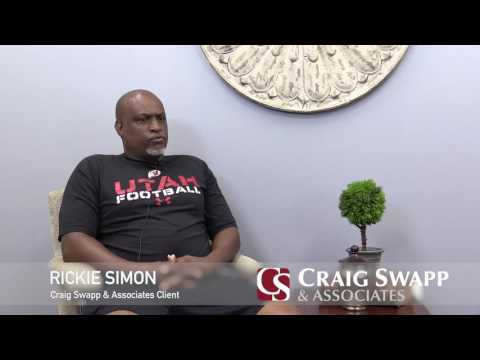 contact Craig Swapp & Associates today, to discuss your case and your options in further detail. Call us now at 1-800-404-9000 or contact us online today through the form below.